A year ago today, the Marlins had a winning percentage below .300 and were 19.5 games out of first place in the NL East. They were a shell of a team. On their way to a 100-loss season, Miami’s roster consisted of one bat, Giancarlo Stanton, who was crippled by opposing pitching that didn’t mind throwing ball after ball to the slugger in order to stagnate any of Miami’s offensive potential. Something had to be done. Fast forward 12 months and the Marlins are just half a game out of first place in the division. 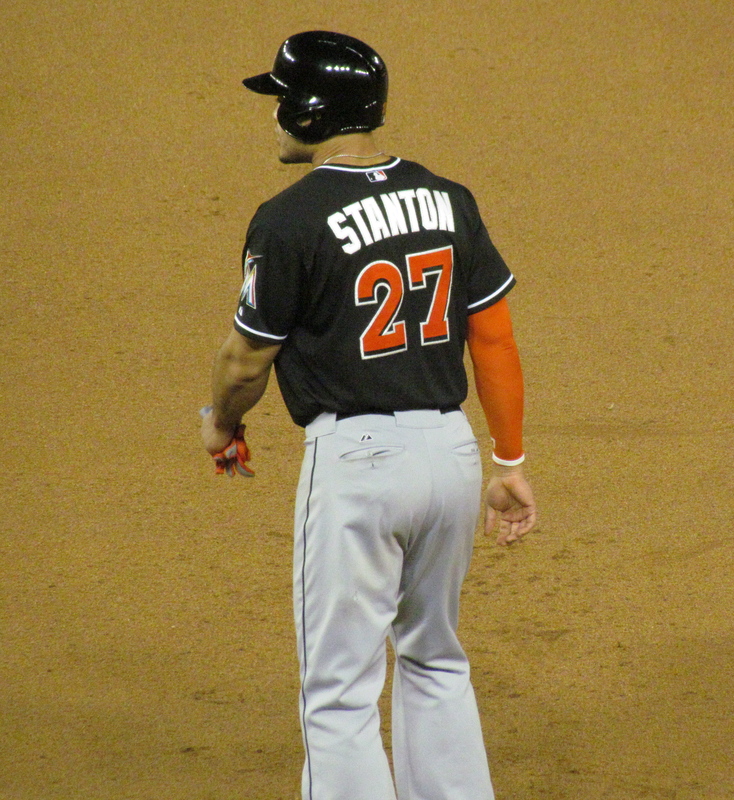 Stanton is batting 50 points higher than he did in 2013, and is pacing the National League in home runs and RBI. Yes, he is the engine that powers this offense. And yes, he is a smarter hitter than he’s ever been before. But no, his success is not the difference between last year and this. The offseason additions of Garrett Jones and Jarrod Saltalamacchia have not been stellar by any means. And while Miami’s young rotation is clicking on all cylinders right now, they have had their fair share of inconsistencies over the season. So why the success? At the end of the 2012 season, McGehee was on a downfall. His average was dipping into the .220 range and hadn’t had a significant role since 2010. He decided to sign a one-year deal in Japan with the Ratuken Golden Eagles. There, he learned to make something out of nothing. In a city recovering from the devastating earthquake and tsunami of 2011, McGehee led the Golden Eagles to their first ever Japan Series title in an emotional effort that has been likened to the Saints winning the Super Bowl in a post-Katrina New Orleans. He rediscovered his swing while experiencing the thrill of a championship season. Then he signed a one-year deal with Miami to fill a hole at third base. And it’s been McGehee’s bat that has made all the difference. Leading all National League third baseman in RBI, McGehee’s mere presence in the batting order has opened all sorts of doors for Miami’s offense. From day one he was picking up the slack in the lineup by driving in four runs in the premier win against Colorado. He hit .450 in his first week of the season and collected 10 RBI in his first 5 games. With Christian Yelich now producing at the top of the batting order, pitchers can no longer afford to walk Stanton who now bats in front of McGehee. Therefore, Stanton’s numbers skyrocketed when he started seeing more pitches to hit. His 17 home runs thus far are just 7 shy of his total for all of last season, and until just recently he was hitting above .310. His current .300 average is still impressive, especially for a guy who has hit more 450-foot home runs than any te am in Major League Baseball. But without Casey McGehee’s protection, Stanton would not have the privilege of seeing a significant amount of strikes thrown his way. Because of his ability to hit both lefties and righties to all fields, McGehee is a serious threat with runners on base. While Garrett Jones may be able to provide similar support, he is a classic lefty-pull hitter and is much easier to pitch around as he has little pop to the opposite field. And since Saltalamacchia is having a down year offensively, McGehee is the only stronghold in the heart of the order that can consistently give Stanton the support he needs. 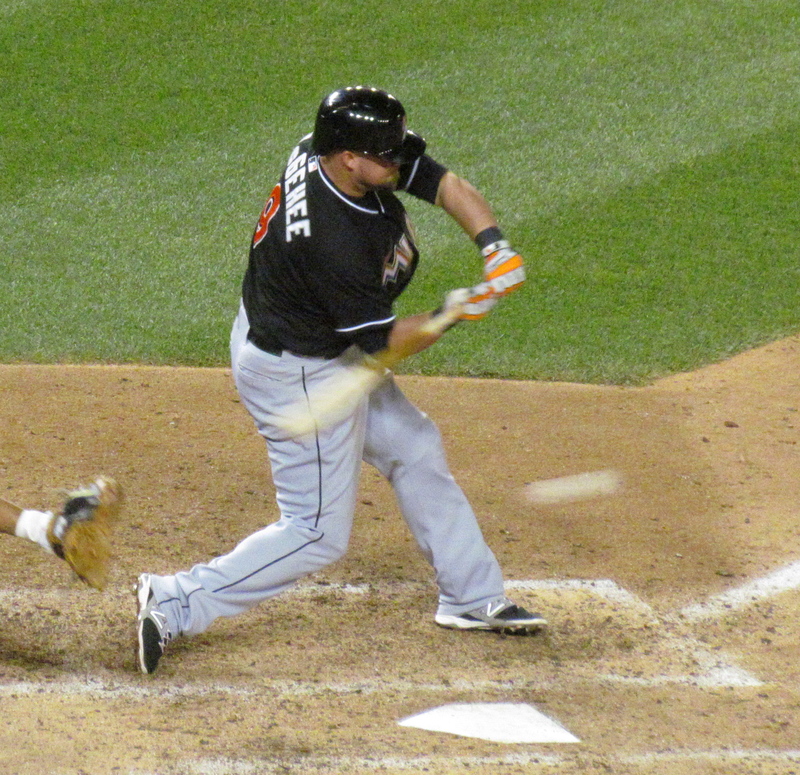 McGehee’s 39 RBI this season are even more impressive given the fact that he has only hit one home run. The most feared one-tater-hitter in the game, his spray chart (right) explains his run-producing ability. Pitchers should fear any hitter who has power to all fields, but especially one who spray lines drives with runners on base. And given that Yelich and Stanton are often aboard in front of him, it’s no wonder that McGehee has been such a machine for the Fish. This has been their formula for offensive success. Miami has long had solid pitching, and they certainly would not have 34 wins at this point if their rotation were sub-par. But last year, the Marlins often lost games by scores of 2-0 and 3-2. They were shut out NINE times in the first two months. This year, they’re scoring more runs on a nightly basis and have only been shut out twice over the same span. Another year of experience for the young arms of this team has certainly worked wonders. But the difference has been in the offense, which is driven by Giancarlo Stanton, who has been allowed to operate by the presence of Casey McGehee. Cool blog and entry! Please check my blog out called Byrd’s Eye View. Thanks!